21 inch “Jacqueline” represented a manufacturing pivot by Madame Alexander. Switching from a hard plastic mold with a wig from the “Cissy” era, to vinyl with rooted hair. “Jacqueline” also sported blue eye shadow. 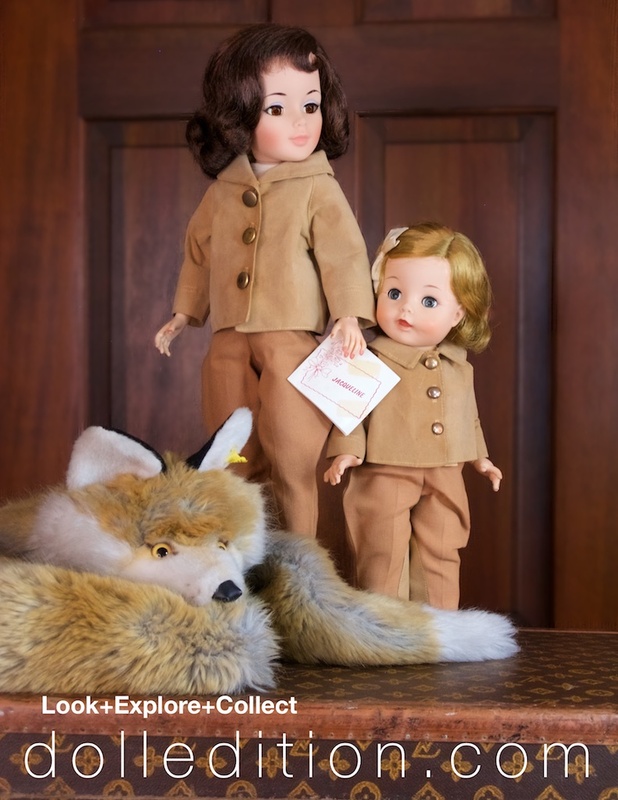 Jacqueline Kennedy was the perfect personality to make into a fashion doll. As first lady, fashion icon, mother and for too many years, queen of the tabloids, Jacqueline offered any number of fashion possibilities to be recreated to her 21inch scale. Her favorite escape while in the glare of the White House was her equestrian passion. Madame Alexander’s 1962 interpretation of “Jacqueline” as an equestrian is right on target. She chose “Jacqueline” in the more casual attire of someone who spends a great deal of time around horses and is entirely at ease rather than going for a formal riding “habit” of fox hunting or horse shows. 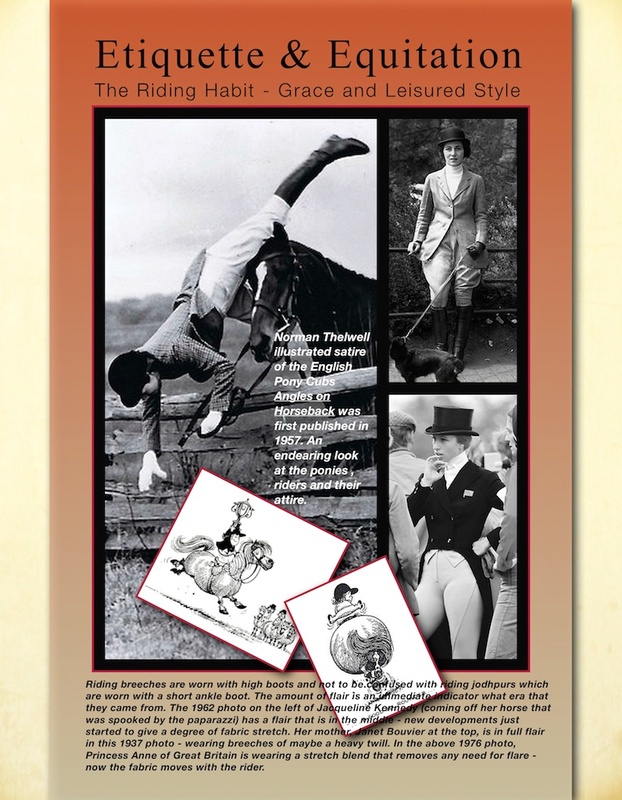 Riding attire has always symbolized grace and leisured elegance. It implied its wearer belonged or aspired to belong to the horse-owning classes. With its stringent etiquette but simplicity and ease, the riding habit is often used to connote country elegance and traditional elite English style. Not only translated by tailors for menswear, but also interpreted by women's fashion designers for the connotation of youth, ease and even daring that challenged gender roles. Looking back through history, riding attire and the lifestyle of the equestrian has evolved. Surprisingly, the core look, even in the 21st Century, still resembles its ancestors. 1962 “Jacqueline” Equestrian No. 2117 with her box and hang tag. “Jaqueline” is wearing jodhpurs and jodhpur boots with a suede jacket. Another element that tied “Jacqueline” into American culture was the rise in popularity and global expansion of the British Pony Clubs. Having established itself in Australia, The Pony Club system of riding, training, along with the care and maintenance of your pony and equipment was sweeping the United States, giving kids an option for exercise, teamwork, discipline, and the thrill and agony of competition. “Jacqueline” is accompanied by 15 inch” Caroline,” No. 1312, also dressed for the stables and a visit with her pony. A Steiff faux fox fur,No. 1545/99 1976, is taking a nap before the fun begins. Madame Alexander had lots to draw from the equestrian world for inspiration. Jacqueline Kennedy brought horse and hounds into Americans vocabulary. She herself was influenced by her own mother, an avid equestrian herself. In Britain, the royal family all ride. As children, Prince Charles and Princess Anne were the same age as the children portrayed in the 8 inch equestrian Alexander-kins. At the same time, Norman Thelwell “Angles on Horseback” created a legion of fans and followers of the British pony obsessed culture. Wendy-kins 8 inch 1965 Riding Habit No. 623, herringbone jodhpurs, turtleneck, belt, suede boots and riding helmet. 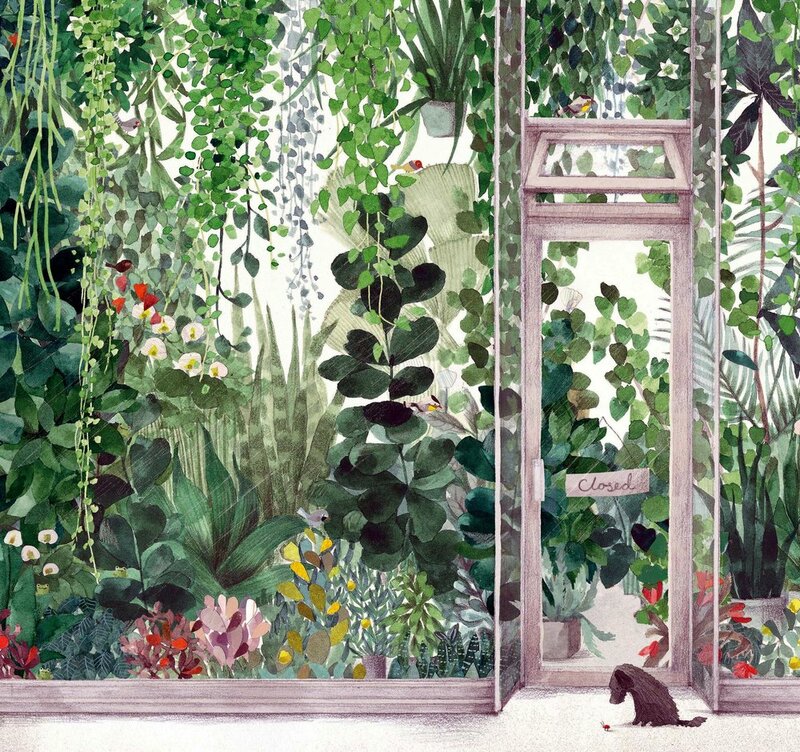 This dazzling picture book celebrates her timeless style and grace, exploring her legacy outside of the public eye. Since 1952, The New York Times convened a rotating annual panel of three expert judges, who consider every illustrated children’s book published that year in the United States. They select the winners purely on the basis of artistic merit. The judges this time were Leonard Marcus, a children’s literature historian and critic; Jenny Rosenoff, a children’s librarian at the New York Public Library; and Bryan Collier, the author and illustrator of many acclaimed picture books and a past winner of the award. Disney executives describe the effort as a chance to polish the company’s broader brand and remind people — as Netflix moves deeper into family entertainment and Disney prepares to unveil its own streaming service — that the Magic Kingdom has been serving up beloved characters for decades. Mickey made his official debut in 1928 in “Steamboat Willie,” Hollywood’s first cartoon with synchronized sound. 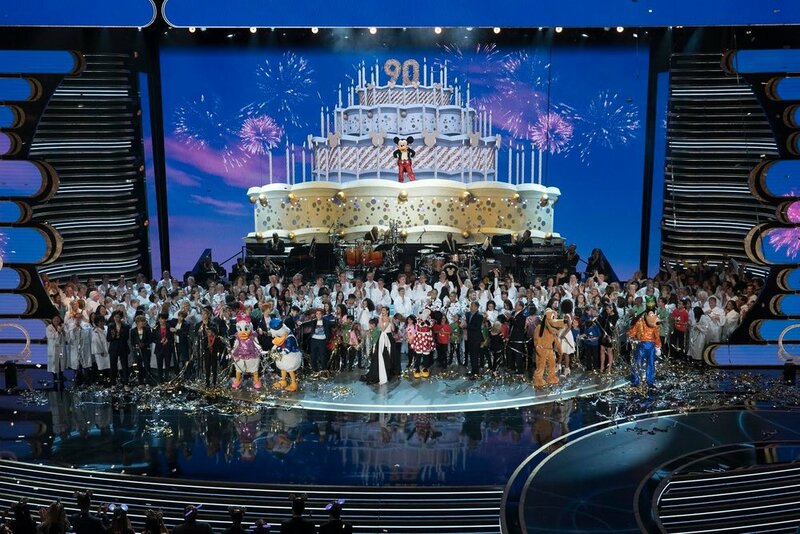 Unless lawmakers intervene, as they have in the past, Disney’s control of the Mickey copyright will expire in five years. So there’s no time like the present to rally around him.